Opening times Mon–Thu 9am–midnight; Fri & Sat 9am–1am. 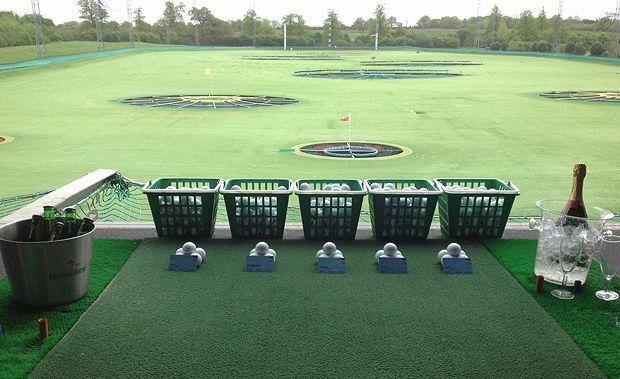 TopGolf is the premier golf entertainment complex where the competition of sport meets your favourite local bar. The fun is in the innovative and addictive point-scoring golf games that anyone can play. Just picture a 240-yard outfield with dartboard-like targets in the ground. The closer to the centre and the further out you get, the more points you receive. Add in an awesome menu and refreshing cocktails, and TopGolf is far from your average bar or golf complex. It’s not golf – it’s TopGolf. Looking for events in Chigwell?